Being with my mom was obviously the best part of Peru. The second? 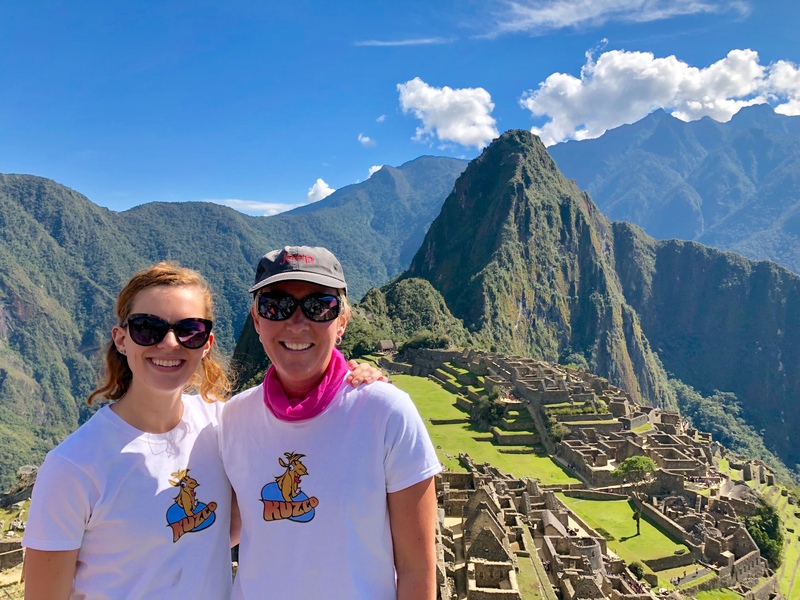 Walking the steps of Machu Picchu (llamas are the third)! My favorite movie growing up was The Emperor’s New Groove (lets be honest, it still is!) and being here made me feel like I was alongside David Spade and John Goodman. I’m so happy my mom found these Kuzco shirts! More importantly, I have been fascinated with The Inca Empire since the sixth grade. I had a teacher who had been to Peru many times and shared his experience and stories with us in great detail. Plus, my fiancé is Ecuadorian and I somehow felt closer to his culture and past. Our guide, Jamie (“Hi May” in Spanish, Jamie in English) was THE BEST! He provided us with unique information that we otherwise wouldn’t have learned. We also had a phenomenal group with us (one guy lives ~30 minutes away from me)! The experience as a whole was incredible. My mom and I also felt like Amazon women walking through the ancient city, standing at 5’8” and 5’10”! Thank you so much, Marcus! I’m so happy you enjoyed this post. My mom and I were thrilled to be there and I hope you’re able to visit one day soon!